The procedural aspects of a Sarbanes-Oxley whistleblower retaliation case are confusing to laypeople and also to most lawyers. A person who believes that he or she has suffered retaliation, because he or she engaged in protected activity under the Sarbanes-Oxley Act, must first file an administrative complaint with the Occupational Safety and Health Administration (OSHA), the agency that enforces the SOX whistleblower retaliation law. This must be done within 180 days after the adverse action. OSHA will conduct an investigation of the complaint and either affirm or reject it. Should I be Discouraged if OSHA Does not Find in my Favor? No. Employees should not be discouraged by an adverse finding made by OSHA, in light of the fact that it has a high rejection rate and there are many claimants who press forward with their cases and obtain successful results. Can I Still Proceed With my Case? A claimant who is unsuccessful at the OSHA level with a Sarbanes-Oxley retaliation claim may next file a complaint with the Department of Labor which will assign it to a regional Administrative Law Judge. The procedure at this level is similar in many respects to a court proceeding, except the case is decided by the Administrative Law Judge rather than a jury. Either party has a right to appeal an adverse decision from this venue to the Administrative Review Board (ARB) which is an administrative appellate body. A second level of appeal is to the Federal Court of Appeals in the district in which the case is venued. If a claimant files a complaint with the Department of Labor, and it is not decided within 180 days, the claimant may file a complaint in the federal district court with the right to a jury trial. A claimant also has the option to forego filing an action with the Department of Labor and instead directly file a proceeding in Federal Court. 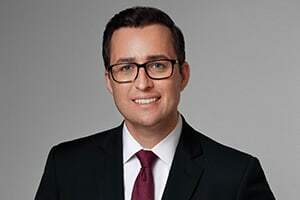 If you are a New York or New Jersey resident, or were employed at a company located in New York or New Jersey, and have been retaliated against in the workplace for engaging in SOX whistleblowing activity, you can contact Attorney Eric Dinnocenzo at (212) 933-1675 for a free consultation. I thank you for listening to me, for your support and kindness. I said this to you before, however, it is worth repeating - I'm glad to know there are people like you in this world. It gives us all hope. Stacey G.
Thank you for fighting for us, against Goliath! Nothing came easy, and you thought outside the box, at all times. Thank you for your professionalism, your patience and your good nature. Miriam J.